"To love me for what I may give you is not loving me at all. To sacrifice anything in my cause to gain something for yourself is like a blind man sacrificing his eyes for sight. I am the Divine Beloved worthy of being loved because I am Love. He who loves me because of this will be blessed with unlimited sight and will see me as I am." Molly Jones has kindly offered an excerpt of her book, Homeward. Brian Drygas shares part four from his thoughtful presentation on Meher Baba and spiritual practices. There is also a letter from the Board of Directors and a wonderful poetry offering from Irma Sheppard. This year's birthday event will be an afternoon tea with potluck snacks, birthday cake, chai, entertainment, door prizes, giveaways and the traveling bookstore. Set up and decorating will start at 1 pm, and put away and clean up will go from 4:30 pm - 5 pm. There is much to do for those who wish to help. Planners, organizers and workers are needed. Bring your creativity and love! 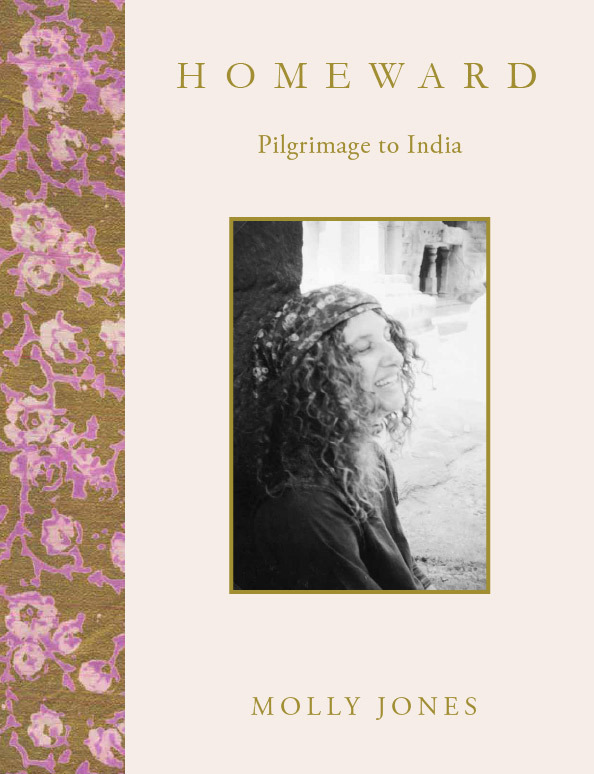 Molly has kindly shared an excerpt of her book about her journey on pilgrimage to Meherabad. You may access this excerpt by clicking the link above. The full version of the book is available from our bookstore. This is Part four from the series based on a participatory presentation, "Exploring Spiritual Practice" given at the Center. In this part, we will discuss ways of having spiritual practice, "At planned times (scheduled and/or periodic)." These practices include dressing your soul with Baba and several other forms of mediation. Darwin Shaw mentioned the method Baba described as sahaj dhyan (natural meditation) many times in his talks and also in his book, Effort and Grace. For this meditation, you "dress your soul with Baba" first thing in the morning. Then you do this again at noon, 5 p.m., and just before you go to bed. Darwin wrote that in "dressing our soul with Baba" we are "accepting the Lord of Mercy and all that he is as our reality." I remember hearing Darwin speak of it as a visualization of a cloak of Baba encompassing us similar to how a physical cloak would. A large portion of the Discourses is about meditation. The Discourses cover a multitude of types of meditation such as meditation of the heart, discriminative meditation, meditation of action, collective meditation, as well as, general and specialized meditation. In the Discourses, Baba says that choosing the same time and location for meditation is helpful. Baba, in 1930, listed six meditation methods. One of them deals with contemplation of "I am not this body. I am not finite. I am the Self. I am eternal." With this meditation, one is to "mentally gaze intently on the centre of the forehead from inward for as long as possible, avoiding all other thoughts, whether higher or lower...". Another meditation uses the following line of thought, "God is true. All else is false. This world and all that is seen and perceived is a dream, a mirage, unreal phenomenon. God is living within my own Self, as the soul of my soul." With this meditation, one is to "turn one's attention to the heart, imagine a flame as one's own soul to be there, and concentrate as much and as long as possible on this imaginary flaming spot in the heart." These meditations are mentioned in the Spring 2010 Glow magazine article, "Meher Baba on Meditation". In this four part series we have explored the many ways to have spiritual practice. Spiritual practice can be thought as something which can be performed all of the time, when opportunity arises or at planned times. As the New Year begins, we would like to thank all of you for the contributions, financial and otherwise, that have enabled us to support the many activities of our Meher Baba Center. With your help, the Center serves to tie our loose network of Northern California Baba Lovers together and to support all those in the greater community who might wish to know more about Meher Baba. This year we have had many ongoing varied events including monthly readings of Effort and Grace, by Darwin Shaw, Infinite intelligence readings, Urban Sahavases with Ward Parks and Mehera Arjani, concerts with Caris Arkin, Deborah Ash, David Miotke, and Brian Dolan, continuing Discourses meetings, Companions in Conversation meetings and more. We also have a lending library, bookstore, special guest meetings, and music and poetry events. Our hope is to continue to enliven our community with even more creative and inspiring meetings we can host at our Center, which is a meeting place dedicated to Meher Baba that evokes His presence. To do so, we need your financial support. Currently, 5-10% of the community donates regularly. We are deeply grateful to these people. We are inviting others to help with a one time, or a recurring donation, so we have enough funding to meet expenses such as rent, website and newsletter maintenance, general meetings and small gatherings. Your much needed and much appreciated help is good karma and is tax deductible. Thank you for your support, time and consideration. Avatar Meher Baba Ki Jai! You can also call Doug Ross 510-388-6529 or email him at docross@comcast.net if you have questions. The Meher Baba Center of Northern California is a 501 3 C. nonprofit Corporation, registered with the Internal Revenue Service and the State of California. Jai Baba and Many Thanks! Baba, You alone are kissed!